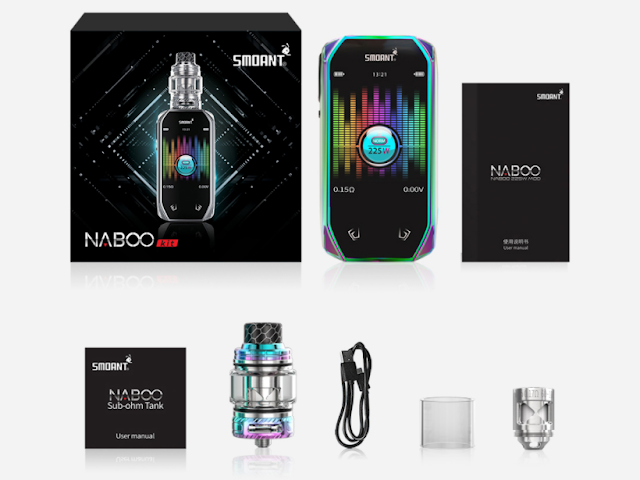 Smoant has launched its latest Vape, Naboo Kit. The device is powered by two 18650 batteries and has a maximum output of 225W. The super output will be well suited to our multiple vaping needs. The Naboo Kit supports multiple output modes, VW (Min , Normal, Max) / VW Curves /Temp (Ni, Ti, SS) / TCR / TC Curves. VW Curves and TC Curves allow users to control the desired output parameters and atomization effects more precisely. Vape has become more interactive.